eGuide to Jerez - Clarinda Parques S.L. A culturally and historically rich city, Jerez de la Frontera is known around the world for the production of Spanish sherry. The charming old town, dating back to Moorish times, offers tranquil, palm tree-lined streets, picturesque plazas, and dozens of historical landmarks. Its strong equestrian community boasts the Royal Andalusian School of Equestrian Art, but the depth of its cultural heritage is clear in the longstanding tradition of flamenco dance and music; Jerez de la Frontera hosts one of the most important flamenco celebrations in the world. 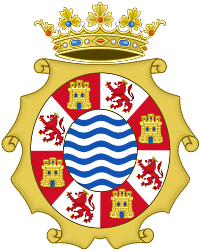 Jerez De La Frontera is in Costa de la Luz. 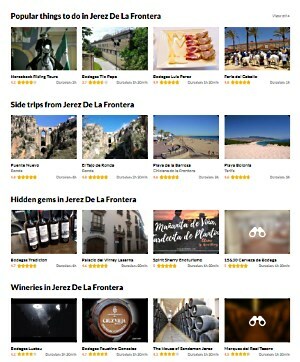 Add Jerez De La Frontera and other Spain destinations to your travel plans using our Spain itinerary planner. Jerez is a specific term for the fortified white wine from the denominación de origen area around Jerez de la Frontera in Andalusia. There are many varieties, which are not always equivalent to the sherries sold in Britain. Sherry is now a fortified (alcohol-added) wine. Sherry is a blended wine of several years, not a single vintage wine. Sherry is usually considered an aperitif. There are dry sherries that can be served chilled, and sweet sherries for room temperature. What is Jerez known for? The city is located 12 km (7.46 mi) from the Atlantic Ocean, in the Campiña de Jerez, region appropriate to cultivate the vineyards that produce the famous sherry. ... Other popular festivals in the city are Feria de Jerez or the Holy Week in Jerez. Jerez is known as the city of flamenco, sherry, horses and motorcycles.